Here’s a fun project to make with the 555 chip. Here’s how it works. When it’s turned on by pressing SW1, the 555 astable oscillator is activated. It will produce a tone through the speaker that can be varied in pitch by changing the distance between the LED and the photo cell. 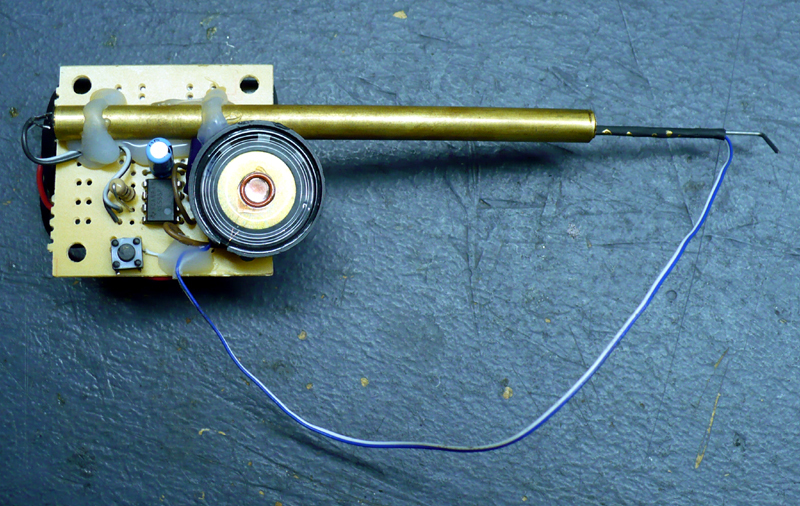 The photo cell is mounted at one end of a 1/4″ diameter tube which shields it from 99% of the light. 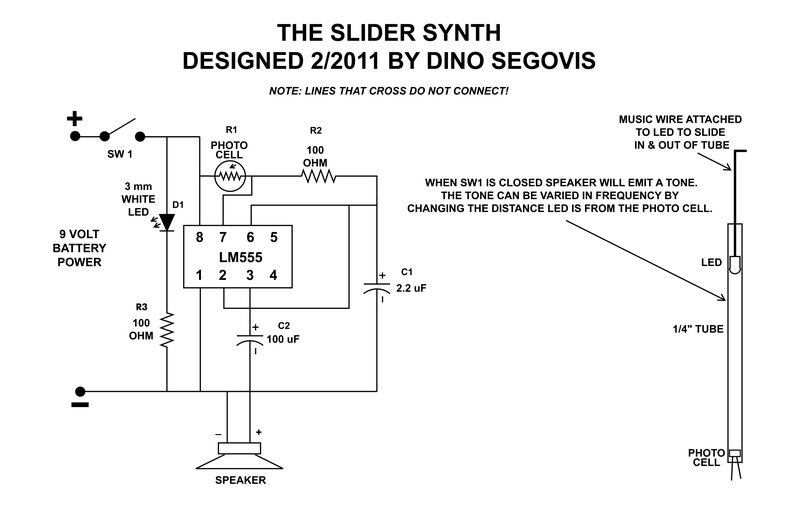 The LED is mounted on a piece of music wire and inserted into the tube. You change pitch by simply moving the wire in and out. Move it inwards and get a higher frequency tone. Move it outwards and the tone goes down in frequency. You can build the device as I have shown in the pictures and video, or get creative and come up with something new! I encourage you to try building other circuits with the 555. It’s a very versatile chip with many applications. 5″ length of music wire or large paper clip. 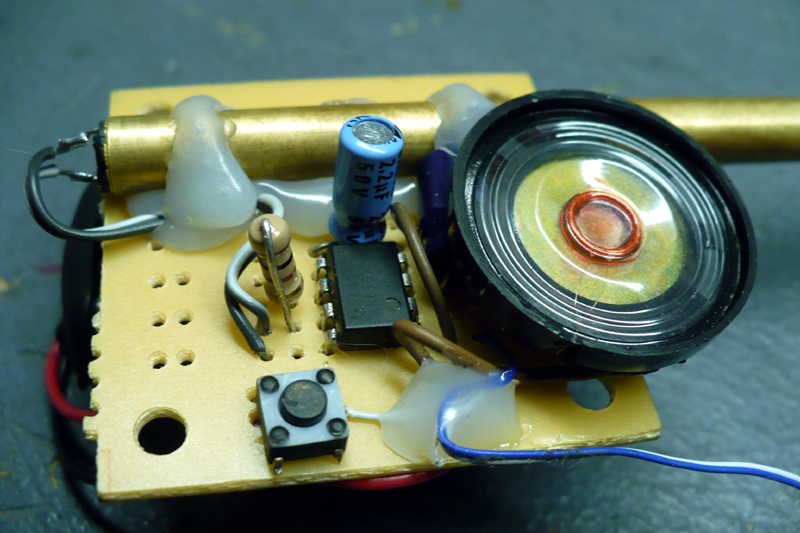 Rob Paisley’s 555 timer circuit page. This has a TON of great info on the 555 including a few timing calculators to aid in component selection.